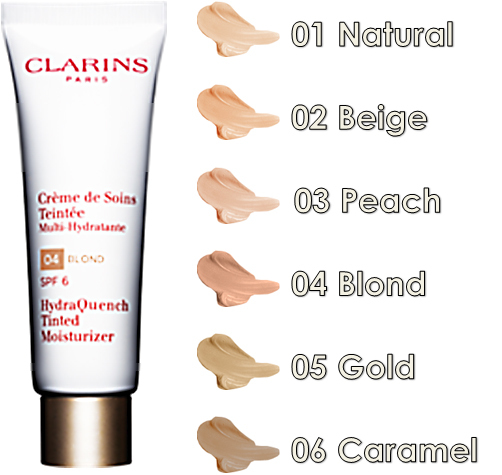 Clarins is quickly becoming the go-to brand for bases. Following on from the big launch of Skin Illusion earlier this year, they’ve unveiled the new look HydraQuench Tinted Moisturiser just in time for the summer. With a 100% mineral filter SPF of 6 and anti-pollution formulation, the skin is protected and cared for all day. The coverage of the Tinted Moisturiser is light to medium, with a delicate and fresh faced finish that doesn’t hide the natural skin, but does reduce the appearance of blemishes and imperfections. Throughout the day the colour wears well, and skin feels really plumped up and moisturised. Each of the 6 hues are comprised of skin adapting mineral pigments that offer natural-looking translucent colour, so don’t be alarmed if the colour of the product seems a little dark. Dispense just a little of the formulation and apply it as you would a moisturiser for a subtle glow. The texture of the tinted moisturiser is creamier than you’d probably expect. So much so, that I can safely that that it’s a better choice for those with normal to dry skin, especially at the height of summer when the make-up slide warning is at code red. That being said, it isn’t greasy in the slightest. It sinks into skin just like a moisturiser, leaving just a hint of colour on the skin that looks completely natural with zero sticky residue or greasiness. If you have combination to oily skin and really like the sound of the HydraQuench Tinted Moisturiser regardless, try wearing it with a mattifying primer underneath or a little powder on top to keep it in place. If you suffer from skin dehydration and fine lines caused by dryness, this formulation is brilliant. Instead of sitting in your dry patches and highlighting the problem, the formulation softens the skin and eases roughness with the exclusive Katafray Bark Extract. You get the soft and supple feel of just-moisturised skin from your daily makeup – score. The scent of the HydraQuench Tinted Moisturiser is a little more pronounced than usual. It has a powdery rose fragrance with a distinctly vintage feel that may not be to everyone’s taste, but it quickly settles into a more musky and skin-like scent. I really love the look and feel of this product, especially as I haven’t ever considered the prospect of tinted moisturiser before trying HydraQuench Tinted Moisturiser. It’s a fantastic alternative to heavier coverage, and my skin is already feeling pretty fantastic with all of the added moisturising attention it’s getting! 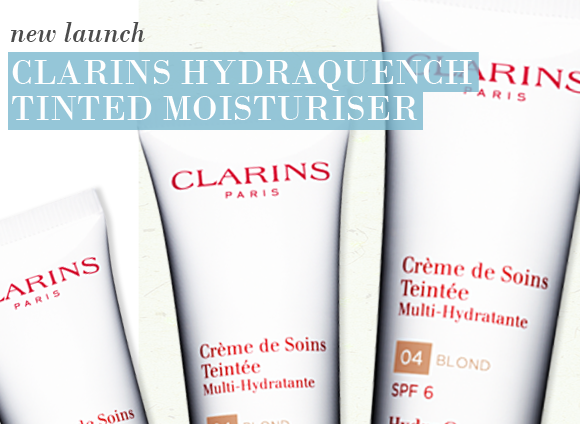 Take a look at the Clarins HydraQuench Tinted Moisturiser right here at Escentual. I have used this product for years. Clarins altered the packaging a little and relaunched this product (which confused those of us who had used it before). However, it is as good as ever and has not changed in other respects. Indeed there are now additional shades not available before. It gives a natural, healthy glow. Yes, I would always recommend this product for the summer. This entry was posted on Tuesday, June 21st, 2011 at 8:10 am and is filed under Make-up, New products. You can follow any responses to this entry through the RSS 2.0 feed. You can skip to the end and leave a response. Pinging is currently not allowed.